The term ‘Social anxiety’ was coined by Janet (1903) to describe people who feared being observed while speaking, playing the piano, or writing. Social Anxiety nowadays is a term used to describe the excessive fear, nervousness and apprehension that people experience in social interactions (Butler, 1999). People with social anxiety fear being judged negatively by other people or humiliated in front of them. The physical indicators of social anxiety are similar to those of other types of anxiety attack. When social anxiety occurs, individuals can experience all the indicators of autonomic nervous system arousal (racing heart, sweating, clammy hands, trembling, stomach butterflies and feeling sick), and in some circumstances they can experience panic attacks and loss of consciousness. This can cause considerable discomfort and embarrassment and often affect the person’s ability to act naturally or perform a task in front of people. Performance anxiety (better known as stage fright) is one of the most common aspects of social phobia. The performance situation triggers intense anxiety with the result of significantly hindering a person’s ability to perform a task in front of people that they would normally find simple performing alone. Cognitively, social anxiety often revolves around the feeling of being judged or being seen in a negative light by others. People with social anxiety often have a fear of being humiliated in public. When social anxiety arises, people’s minds go blank; they get confused and often think that they come across in a bad light. 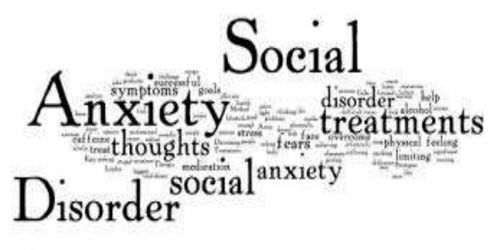 In many cases it is not surprising that a person with social anxiety will often avoid many social situations. This can result in poor self-esteem and depression. 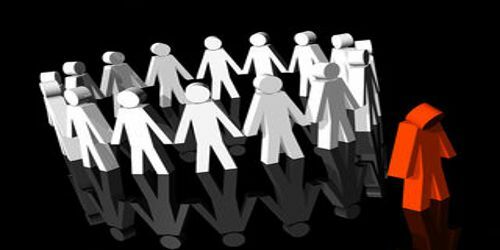 Social phobia is often a secondary aspect to many types of neurodiversity, especially Asperger’s and Dyspraxia where an understanding of social situations and subtleties in communication can be difficult (helpguide.org). People with neurodiversity may have some kind of impairment or difference which could stand out. This could increase self consciousness to an extent that considerable anxiety is caused. Social anxiety happens to everybody at one time or another. It is perfectly normal to feel anxiety in situations such as a job interview, making a speech, or going on a date. Some people however develop anxiety in most social situations, which can seriously affect their quality of life. When social anxiety becomes this intrusive there are several options people can take. It is advisable to contact your doctor who will give you a formal diagnosis and either refer you to a therapist or put you on medication. Therapies include counselling, psychotherapy and cognitive behavioural therapy (CBT). The most common and successful of these therapies seems to be CBT. Medication is also successful in reducing social anxiety and comes in the form of anti-depressant types (MAOIs* and SSRIs*) or tranquilizers such as valium and Beta Blockers. Whilst medications can be effective, in some individuals they can have unwanted side effects. Exercise regularly. – Helps keep the heart healthy and produces brain chemicals which relieve anxiety. Improve your sleeping pattern. – You are more prone to anxiety if you are tired or if your sleeping pattern is irregular. Give up, or cut down on drinks and foods that contain caffeine. These speed up the heart which can cause anxiety. Gradually expose yourself to situations that can cause anxiety. Give up or cut down on smoking. Avoiding the situation – This is one of the things that socially anxious people often do. After one bad experience with a particular social situation, people may avoid similar situations thereafter. This can lead to social isolation and cause depression and low self-esteem. Whilst avoidance has the benefit of keeping anxiety at bay, it has a negative overall effect. It helps to maintain the difficulty rather than to resolve it. By avoiding the situation, the person will never know if the situation warrants this kind of self protection (in most situations it doesn’t – see beliefs). Experiments in anxiety show that the more people are exposed to situations which make them feel anxious, the less anxious they eventually come to feel about the situations. This however does require giving up safety behaviours. Safety Behaviours – People who have had social anxiety for some time often become quite skilled at behaving in ways which reduce the perceived threat. Safety behaviours are essentially a way of minimising or avoiding the embarrassment and anxiety felt in social situations. For example if you are at a party, you may hang around on the periphery so as not to attract too much attention. You realise that having little to say at a party might look a little odd, so you only talk to the people that you feel most comfortable with. You may drink your alcoholic beverage quickly to give you a bit more confidence. You may regularly visit the toilet, even when you don’t need to go, just to avoid chatting to someone you feel poses a threat. You probably say the same old things in the same way to different people just because you have rehearsed them and feel a little more comfortable saying them. You may get up and make an excuse and leave when the anxiety gets too much. Whilst safety behaviours may seem helpful at the time, in the long run they are counter-productive. They confirm that the situation is dangerous by reinforcing the belief that you have got to keep safe or something bad will happen (Butler, 1999). Safety behaviours often become habitual responses to situations which are mostly harmless. Using safety behaviours has the effect of not testing how dangerous the situation really is. Another negative aspect of safety behaviours is that they focus attention inwards and make people increasingly self aware and self conscious. This has an effect of increasing the psychological and physiological aspects of anxiety. Rehearsing what you are about to say and mentally checking that you have got the words right. Holding things tight or locking your knees together to avoid shaking. Keeping an eye on the escape route (a way out of the situation) and never getting fully involved. Sticking with a ‘safe person’ or staying in a ‘safe place’ – never taking any chances. To identify behaviours you will need to take a specific situation where social anxiety arose and write it down. Try to remember how you behaved when you felt anxious. Write these behaviours down. Post-mortem – It is very common amongst socially anxious people to critically analyze a social situation which caused anxiety after the situation has occurred. Usually these post-mortems are not based around facts but more on the person’s negative beliefs and attitudes. A socially anxious person is likely to have negative beliefs and attitudes toward themselves in social situations. Try to avoid the post-mortem at all costs. It is useful to know that everybody makes mistakes and nobody is perfect in all social situations. Relaxation is often noted as being very beneficial to people with anxiety-related problems. Using relaxation techniques on a daily basis can reduce the intensity and frequency of any anxiety felt throughout the rest of the day. Many people with anxiety recommend Yoga, particularly a relaxing style of yoga which incorporates meditation. Not only does yoga help to relax the mind, but it also revitalises and soothes the body. Hypnotism is an excellent way to relax. There are many private hypnotherapists who may be able to help you, but they can be quite expensive, charging approximately £50 sterling per session. There are also many hypnotism audio CDs out there. Paul McKenna has written a series of books with accompanying CDs which can really help to relax you and re-programme your mind. One of his books is called Instant Confidence and includes a useful programme for improving confidence in all kinds of situations. Join a drama club. People with social anxiety may be a little out of practice with their social techniques. The benefits of an amateur dramatics club are that it would build up your confidence in your voice and body language, and expose you to some forms of anxiety.